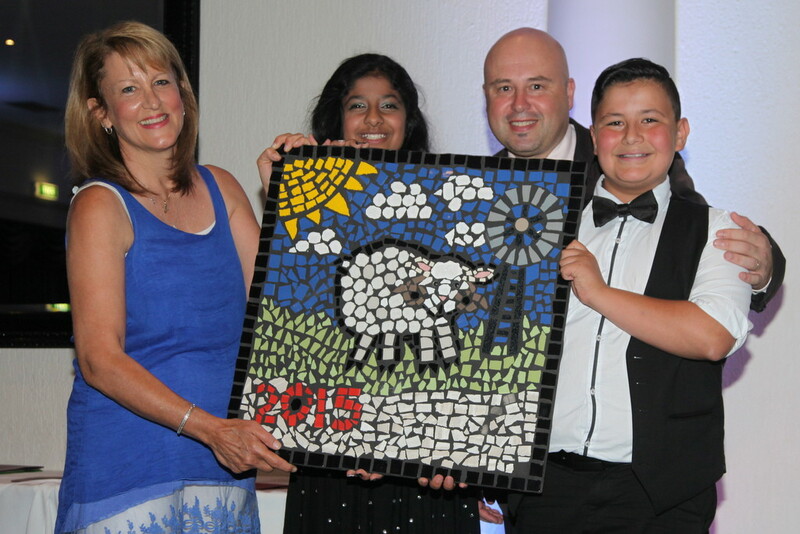 The eleventh in our set of twelve mosaics depicting the animal signs of the Chinese zodiac was presented to our Principal, Mr Chris Sevior, at our Grade 6 Graduation on December 17th, 2015. Mrs Glenys Vella (left), taught the Grade 6 classes during 2015. She expertly organized the students in the designing, creating and completion of “The Year of the Sheep”, a wonderful addition to our collection. Each year the new mosaic is mounted on the brick wall in our school courtyard. Our two winning designers are also pictured. We congratulate Seth and Gurpreet. We look forward to seeing the design the new Grade 6 students decide upon this year for the “Year of the Monkey”. Which is your animal sign? You could find it here.